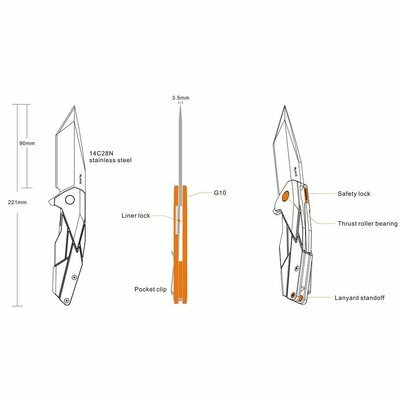 P138-W is a practical cutting tool owing to its robust tanto blade. 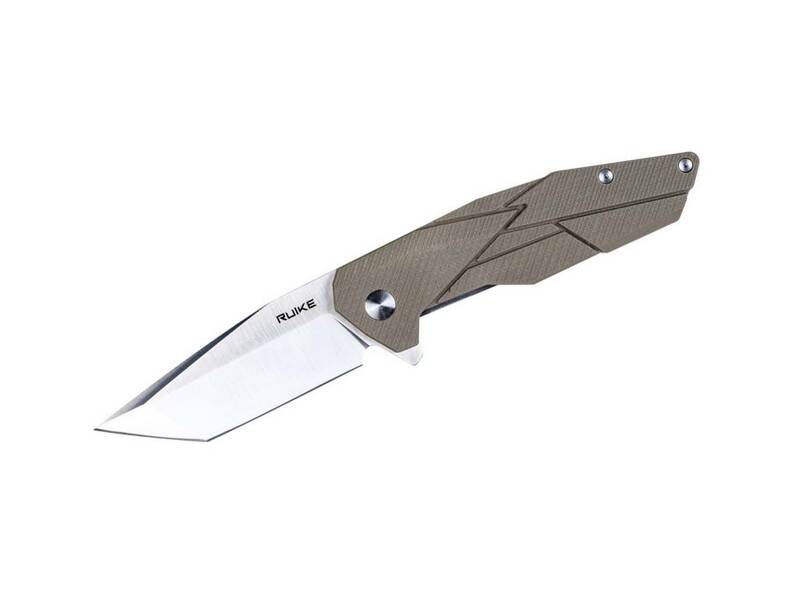 Made of 14C28N stainless steel in fine polish, and shaped to an optimal tanto style, the blade features razor sharpness and fairly strong tip. 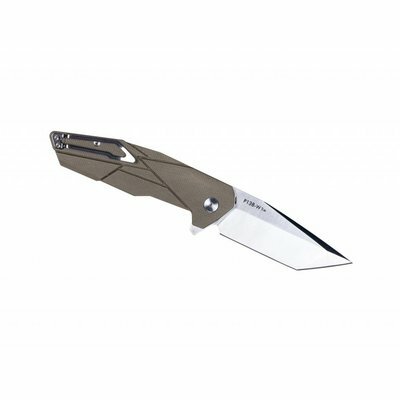 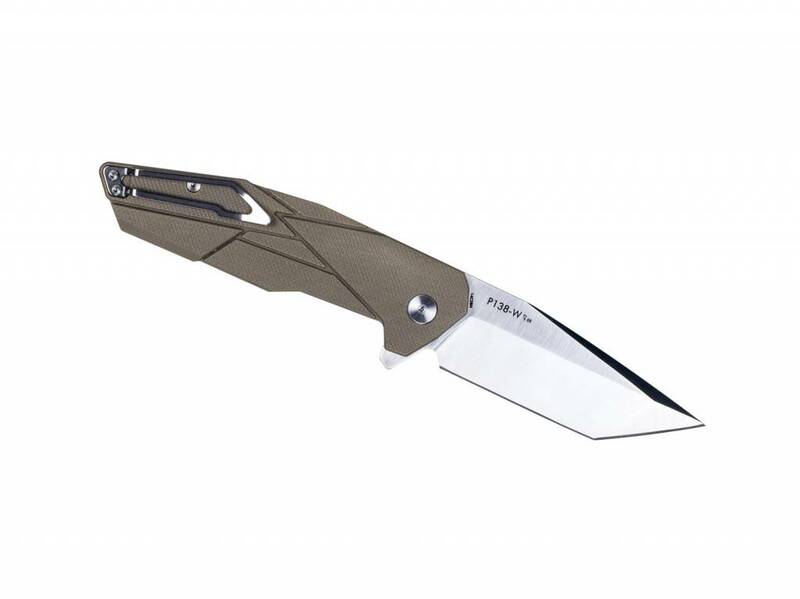 The built-in roller bearing pivot secures quick blade deployment once you get the flipper down. 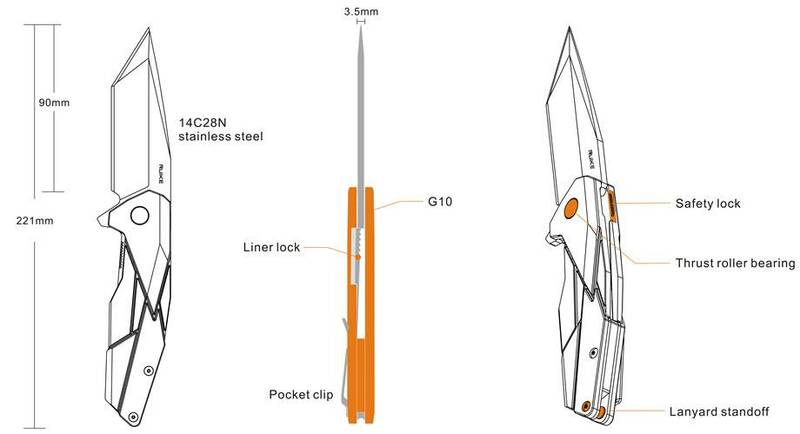 In addition to the liner lock, a back safety lock reinforces while wielding the knife in working. 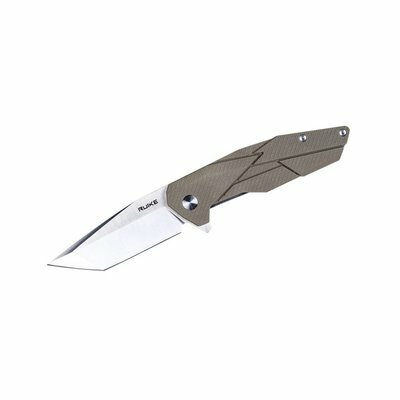 The G10 handle is ergonomically grooved to be skid-proof for comfortable holding and performs well regardless of harsh environments.